Chilehead hobbyists can smoke their own chiles, although the process is time-intensive. It is not difficult to make chipotles in the backyard with a meat smoker or Weber-type barbecue unit with a lid. The grill should be washed to remove any meat particles because any odor in the barbecue will give the chile an undesirable flavor. 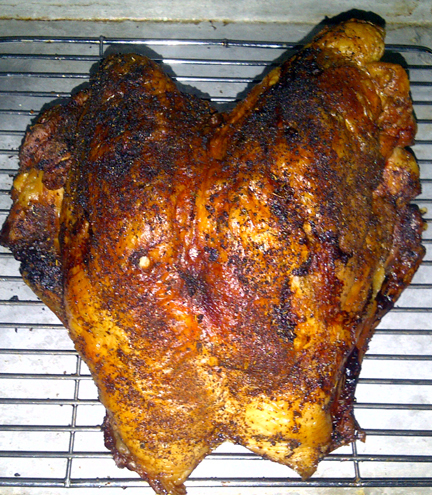 Ideally, the smoker or barbecue should be new and dedicated only to smoking chiles. The result of this type of smoking is a chipotle that more resembles the red morita than the classic tan-brown típico. There are five keys to the quality of the homemade chipotles: the maturity and quality of the pods, the moisture in the pods, the type of wood used to create the smoke, the temperature of the smoke drying the pods, and the amount of time the pods are exposed to the smoke and heat. But remember that smoking is an art, so variations are to be expected and even desired. Recommended woods are fruit trees or other hardwoods such as hickory, oak, and pecan. Pecan is used extensively in parts of Mexico and in southern New Mexico to flavor chipotle. Although mesquite is a smoke source in Mexico, we prefer the less greasy hardwoods. Mesquite charcoal (not briquets) is acceptable, especially when soaked hardwood chips are placed to top to create even more smoke. 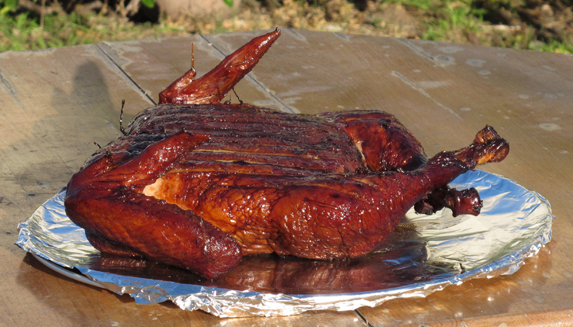 It is possible, however that the resinous mesquite smoke (from the wood, not charcoal) contributes to the tan-brown coloration of the típico variety of chipotle. Wash all the pods and discard any that have insect damage, bruises, or are soft, and remove the stems from the pods. Start two small fires on each side of the barbecue bowl, preferably using one of the recommended hardwoods. If you are using a meat smoker with a separate firebox, simply build the fire in the firebox and smoke the chiles until they are pliable but not stiff. Place the pods in a single layer on the grill rack so they fit between the two fires. For quicker smoking, cut the pods in half lengthwise and remove the seeds. Keep the fires small and never directly expose the pods to the fire, so they won’t dry unevenly or burn. The intention is to dry the pods slowly while flavoring them with smoke. If you are using charcoal briquets, soak hardwood chips in water before placing them on the coals, so the wood will burn slower and create more smoke. The barbecue vents should be opened only partially to allow a small amount of air to enter the barbecue, thus preventing the fires from burning too fast and creating too much heat. Check the pods, the fires, and the chips hourly and move the pods around, always keeping them away from the fires. Be sure to stand upwind as you open the smoker; that smoke could be “hotter” than you think! It may take up to forty-eight hours to dry the pods completely, which means that your fire will probably burn down during the night and will need to be restoked in the morning. When dried properly, the pods will be hard, light in weight, and reddish-brown in color. Ten pounds of fresh jalapeños yields just one pound of chipotles after the smoking process is complete. 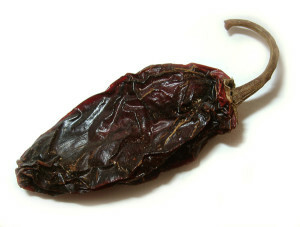 A pound of chipotles goes a long way, as a single pod is usually enough to flavor a dish. After the pods have dried, remove them from the grill and let them cool. To preserve their flavor, place them in a zip bag and freeze them. 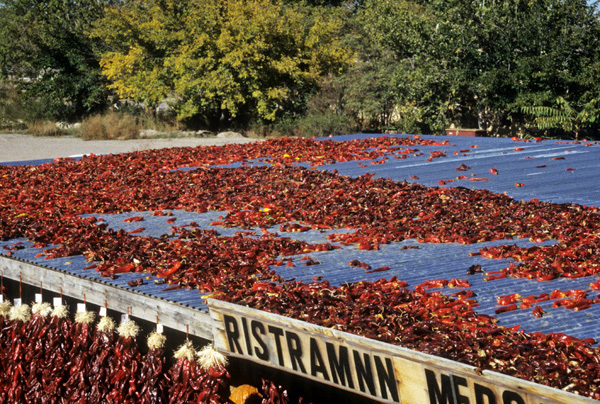 A quick smoking technique involves drying red jalapeños (sliced lengthwise, seeds removed) in a dehydrator or in an oven with just the pilot light on. They should be dessicated but not stiff. Then smoke them for three hours over fruitwood in a traditional smoker with a separate firebox, or in the Weber-style barbecue as described above. This technique separates the drying from the smoking, so you spend less time fueling the smoker. 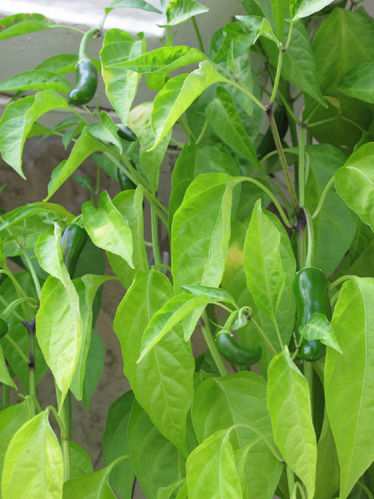 Although jalapeños are the most popular chile for smoking, many people have started to smoke dry a variety of peppers including habaneros, serranos, and even yellow wax varieties. Experiment with your favorite varieties, and you will be in for a real treat. You can get more info on preserving chiles here.